Ellasown is dedicated to providing all-natural aromatherapy products for both your personal healing, living areas and special occasions. 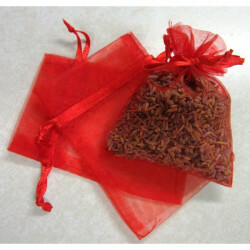 We don't use artificial or chemical ingredients in any of our lavendar sachets and votive candles. Create a relaxing environment and let the soft scents ease your mind. Ellasown is dedicated to providing high quality aromatherapy products for both your personal healing, living areas and special occasions. We have products without artificial or chemical ingredients that you can enjoy with ease. You can find something that can bring relaxation, calmness and easing of mind. There are many options of colors of organza bag sachets to meet your needs for special occasions or even just to match your favorite clothing drawer. Among our products you will find dried Lavender sachets, dryer sachets, candles and other items which make use of nature’s bounty to ease and heal. 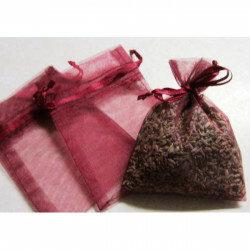 Organza bag lavender sachets can be used around your living areas as well as special occasions. There will be other products becoming available as we find ones that have High Quality that can benefit and ease you.